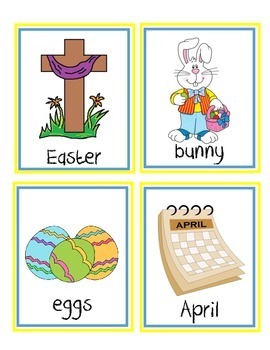 This is a compilation of Easter, April, and May vocabulary cards. 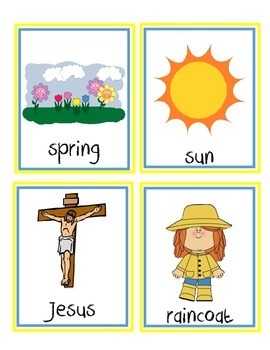 Each word has a cute picture attached for the children to identify the words. 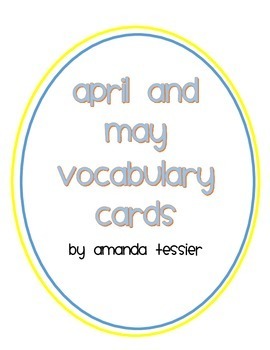 In my classroom, I laminated the word cards, cut them out, and posted them to the wall in our Writing Center. 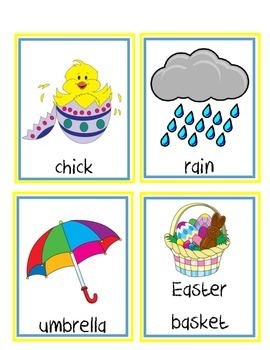 Throughout the month, the students can refer to the vocabulary cards for writing stories and handwriting practice.